10 tips for the nomad freelancer. Freelancing is a lifestyle. It’s about waking up in the morning and being motivated to make your own way. It is about having inspiration to do a client’s project at 1AM in the morning and getting it done. Freelancing is hard work, and to stay motivated, you need to love what you do so the passion will keep you going through the tough times. 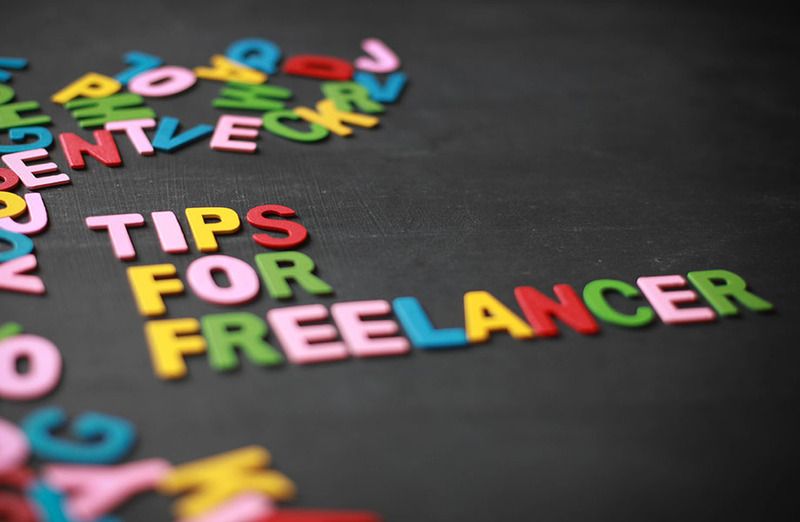 Below are a list of 10 tips – for the nomad freelancer – that I’ve gained through freelancing that have gotten me through many tough times. Clients are your partners, friends and ultimately your paycheck. Stay good to them. At the end of the day, people like to hire people they like. Never underestimate how important your relationships are with clients. Keep them your first priority. They should feel like they are your only client. Never underestimate your golden client. They are the ones that will pay you a consistent paycheck even though the work might not be your favorite thing in the world. Keep them happy and put them first when you can. Charge enough for your work. Value is a perception. Admittedly the hardest challenge I have as a freelancer is charging an appropriate amount for my work. It took me a long time to feel comfortable with this because I get so much satisfaction in just doing my work. However, the more time you spend working for other people and not being able to eat, the more you realize how valuable your time is. Therefore, always charge enough for your work. Many people will not value you when you undercut your fees. Sometimes, the more you charge, the more that people will value the work you do and believe that you are capable and competent. Under charging can actually be a turnoff for some clients and they may think your are not professional enough to do the job. Stay on task. Stay organized. Be motivated. You need to work hard to be a freelancer. It is important to stay on task to balance your time and your clients. I’m a bit of a workaholic, but much of that comes from an inner desire to make my own way. I believe you have to have a good bit of motivation to be a successful freelancer and you can’t just screw around at work because if you are not working, you are not making money. Promote yourself. Don’t forget that you are a sales person. I tend to feel a bit awkward about promoting myself and I admit it is difficult for me to do. But you must do a bit of self promotion in order to get your next job. Make suggestions for new work when you can and remember that the easiest sell is a past client that is already pleased with your work. Also, don’t forget to ask for referrals! Use trade when money is not available. I have some clients that pay my bills and other clients that I trade with. Find ways to use your talents to trade with others. I’ve traded design work to do my taxes, clean my house, pay my rent, fix my car and countless other things. It’s always great to have money, but there are certain clients that might not be able to afford what you are worth, but they can offer a good exchange. Be open to trading for opportunities that are good deals. Remember that when you are not working you’re not making money, and there are times when clients may not appreciate your time. Also, certain projects may not be a good fit for your particular talents. As difficult as it may be to turn down work, sometimes you need to “just say no”, cut your potential losses and go on to more productive work. Work out of the house and cowork. Part of the motivation I have as a designer is having the flexibility to work where and when I want. Take advantage of this flexibility, as every day can be a new adventure. I used to get inspiration by working from a different coffee shop every day in San Francisco. A life changer for me has been attaching myself to coworking spaces. I think that working from a coworking space can really give you motivation as you see new people everyday and it enables you to network and gain new business. Some of my favorite coworking spaces include Green Spaces, Creative Density, Thrive Workspaces, The Desk and Converge. End your day at a good stopping point. Keep it fresh by moving back and forth between projects. There are two thoughts on how to finish a project. I tend to “almost” finish a project and stop there. It is usually best to send off that email in the morning when you are fresh and can take a second look at the product Another suggestion is leaving yourself at a stopping point that is easy to pick up at another time. This may mean leaving a project where you still have a section to finish up, but this allows you to easily get motivated again to start working. Ask for help when you need it. Get opinions. Gain alliances. One of the best parts about coworking is that it enables you to interact with other freelancers in other specialties. Instead of spending hours trying to figure out a solution to something that you are not specialized in, take a minute to ask for help. Also, it is always wise to gain a few opinions before sending off your project to a client. It enables you to have another perspective on your project which can be critical in being successful. Aligning yourself with other people in different specialties enables you to swap projects and collaborate together. Take vacations for your business and take vacations away from your business.